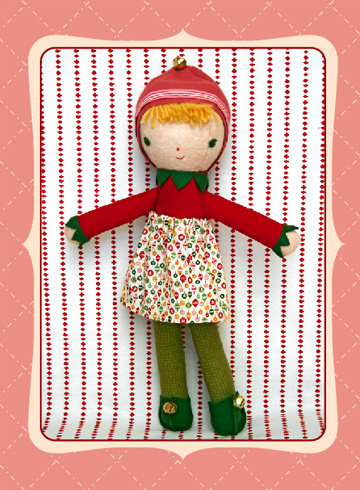 My go-to doll pattern these days is my Elise and Elsa Elf pattern. 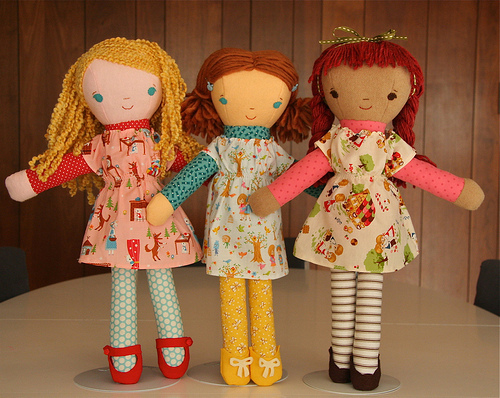 All these dolls below are the same body and face, just with different yarn hair dos. Elise/Elsa just has bangs and a cap. If you want to add curly hair here’s are some how-tos I posted a few days ago. 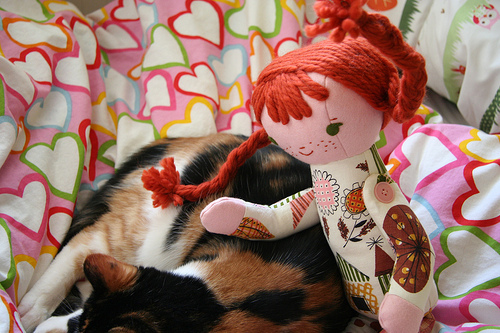 The Land of Nod dolls are the same pattern too. 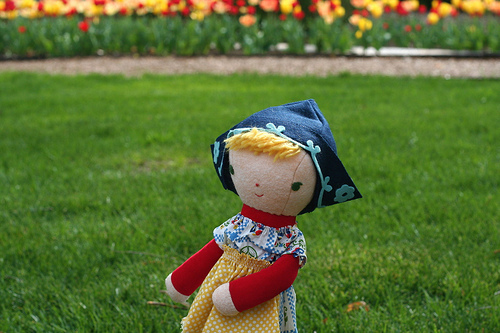 This month’s giveaway doll was this pattern. And next month’s too, I already have her fabric picked out. Oh, and speaking of fabric, here’s the selvedge info on Miss February. When you find something you like, you stick with it! I made your Clara and Nutcracker for my daughter for Christmas a couple of years ago, she was so fun to make! oh thank you for the info. I got the pattern and need to start working on using this base pattern to make some dolls. It’s like a blank canvas to explore—very exciting. This doll seems to lend itself to many interpretations…I can go crazy thinking of fairy tales, other characters from books etc. Fun!! I am wondering whether you are mostly using felt or flannel for the head? 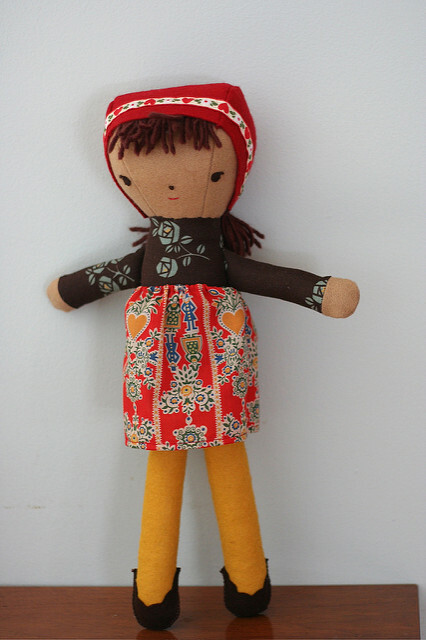 I’m a bit scared to try to make a doll with wool felt….it seems so stiff and heavy—perhaps it’s not 100% wool felt you are using? I use all 3 – wool, wool felt and flannel. I like the body to be very stiff so I don’t mind the wool felt. It can be harder to sew the hair to. The latest dolls I’ve made have just been wool so they’re sort of soft and fuzzy and definitely more flexible. is it similar to any of the dolls in your book too? No, not really. 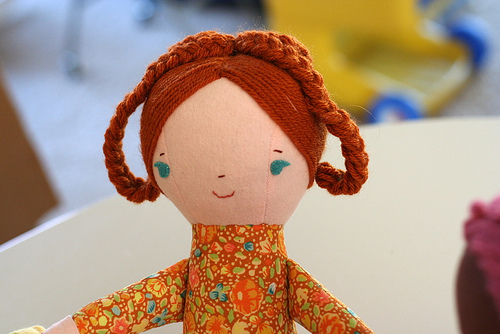 There is a doll with yarn hair but she’s a different shape than this gal. looks like I might have to purchase elsa elf than! 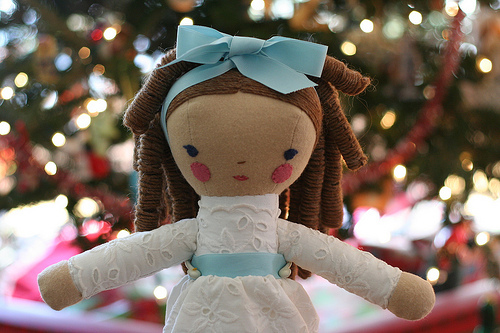 Love the nutcracker doll, btw!